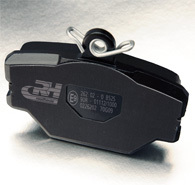 - Advanced technology in friction with a real “state of the art” in production, offering a premium quality product to the aftermarket never known among other manufacturers. Further 130 million pcs. of production a year operated in 12 plants around the world, allow us a deep background and a knowledge in the top of our industry. 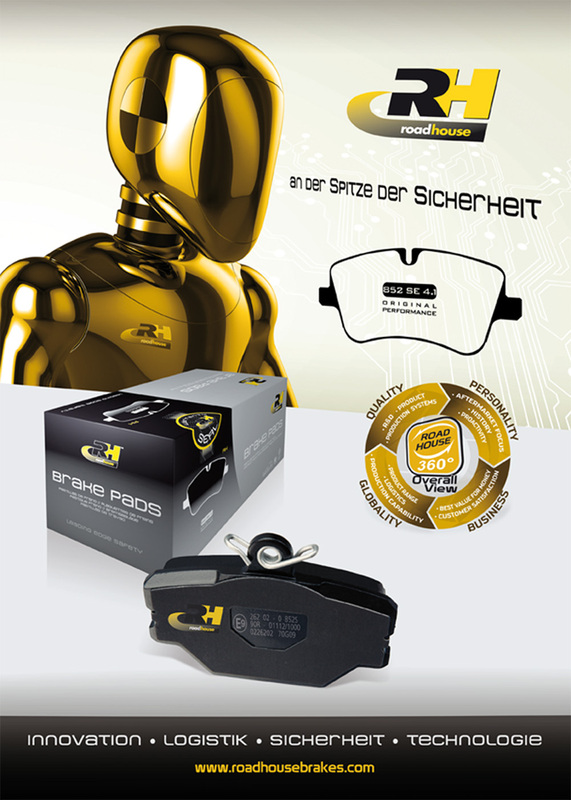 - The widest range in the world available in automatic warehouses ready to be delivered all over the world. - Personality: Aftermarket is 100% our goal. What could seem to be a handicap for some, for Road House is one of its main advantages. 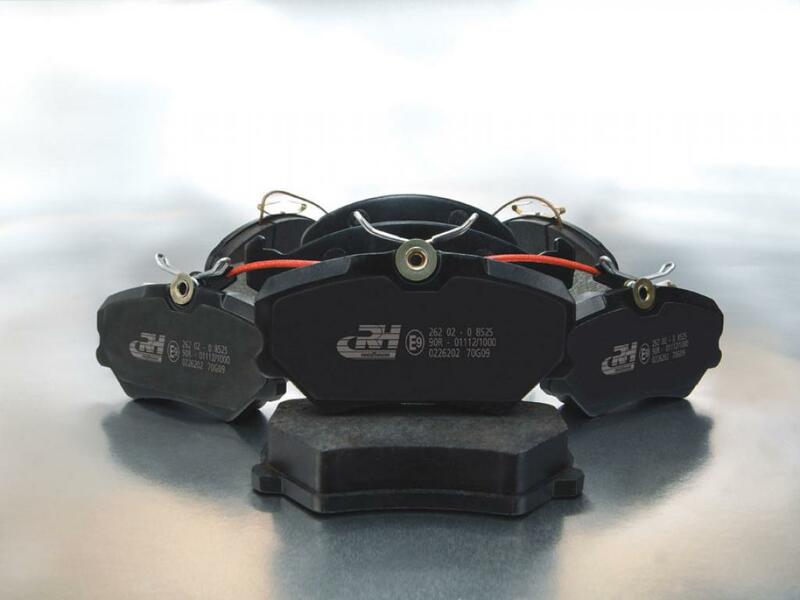 Within we haven’t got a complex being an only aftermarket supplier because of our technology, production and logistics, we are very pleased offering our customers everything they really need of a brake supplier. 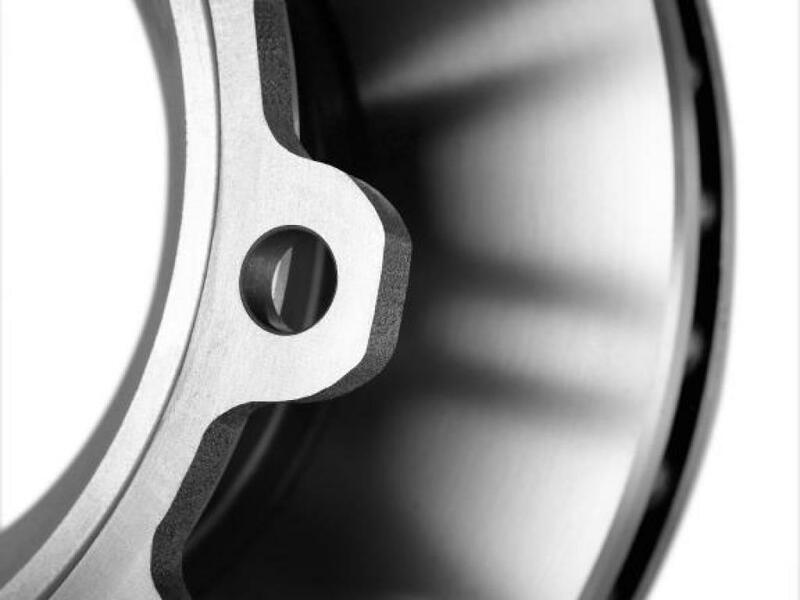 The underlying philosophy of our activity is the continuous research, development and testing of new friction material compounds in an attempt to satisfy demanding market requirements in respect of performance, comfort, safety and service lifetime. Alternative compounds are continuously analyzed and assessed - ranging from easily available materials such as modified resins or elastomers to ingredients such as aramide fibre or synthetic graphite. This is our ongoing commitment to advanced basic research in the friction industry. 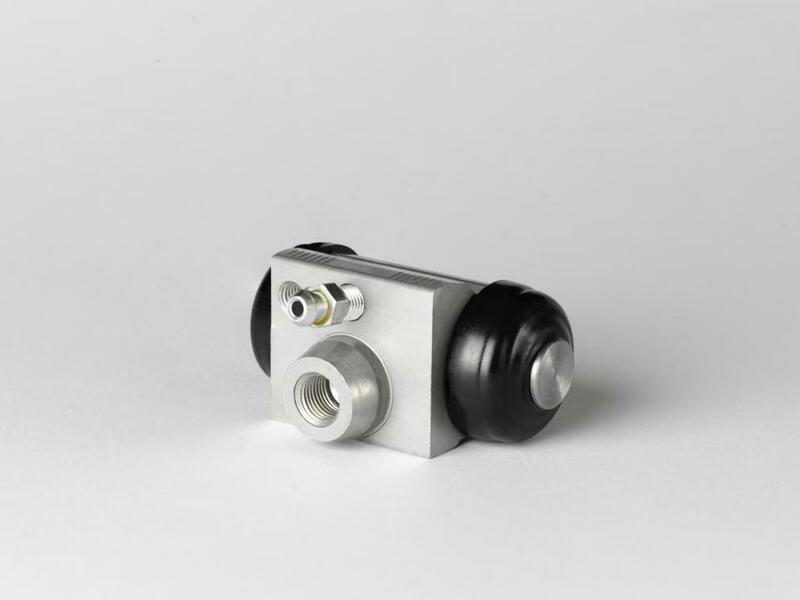 Our long-term strategy as far as new friction compounds are concerned is not cost-related, but simply to deliver the best possible products available with the most advanced technology. Dyno machines are running on the most advanced emulation software thus permitting to obtain highly representative results to bass the product performance accordingly. 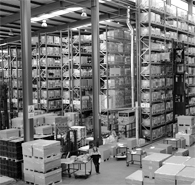 The Technical Department is structured into four independent areas to properly deal with the growing requirements of today's independent aftermarket wholesalers as well as with the high quality requirements of OE/OES customers. The two key steps and many others requiring the launch of a new friction material is a wear test at high temperature (of the protocol AK Master) as shown in the chart below and a noise test matrix (Birdie) for braking devoid of noise. - Heavy Duty Dynamometer for platforms and trucks. - Constant speed dynamometers (Krauss). - FTM (Friction Test Machines). Selection of products currently for sale both domestically and internationally. 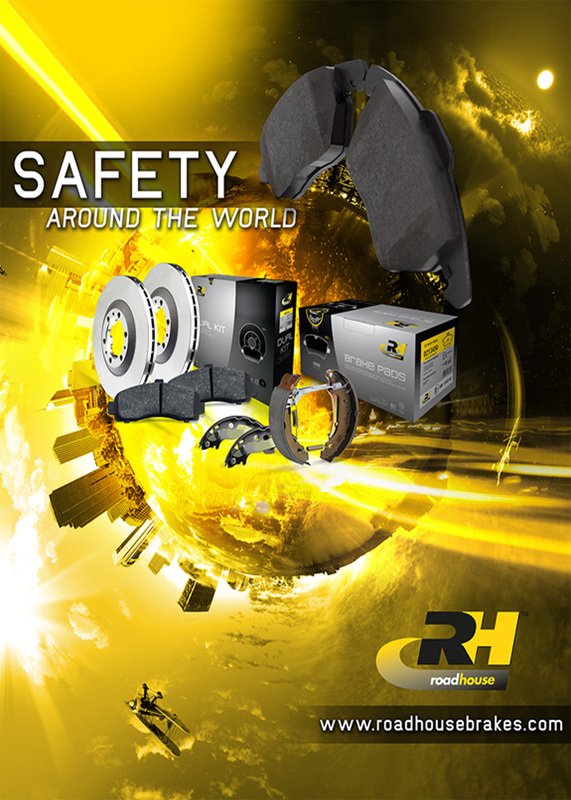 With a production of more than 25 million sets a year, Road House offers to its customers not only all the “know-how” of one of the main friction materials manufacturers in the world but the most comprehensive product range available in the friction industry. 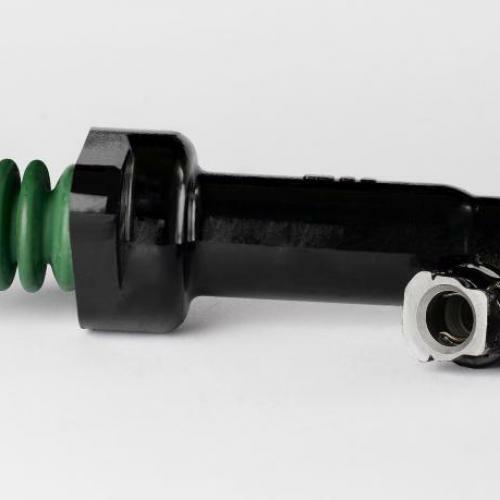 This product range covers European, American, Japanese, Korean and Australian applications with more than 2000 different part numbers on offer and with different levels of accessorization. 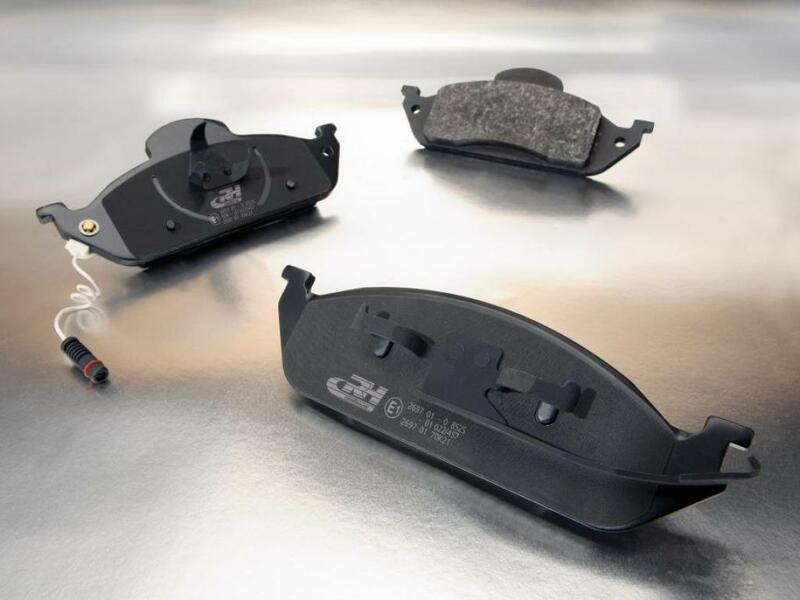 A fully integrated manufacturing strategy system makes this range possible by having available in-house the production of related components such as backing plates and accessories. This manufacturing process implemented 100% in Road House factories consists in an electrical heated steel table system at 650ºC and accelerated heat interchange applying 10.000 N press force per brake pad thus ensuring that the complete surface of the pad is evenly cured. This process provides a shorter bedding-in period and an efficient brake operation just upon installation as typical O.E.M. 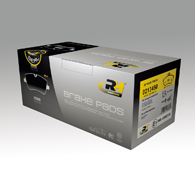 pads performance required to work the most severe conditions. 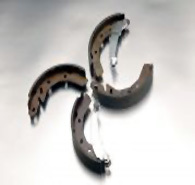 Providing safety because avoids the crystallization process typical of friction materials losing braking performance along the useful product life. Healthy for the environment. During the scorching process, gases emitted are treated by post-bur process till they are rendered harmless. Is this process wouldn't be done in our production plant, the drivers would suffer it negatives effects, especially during the brake bedding in period so that the gases would go up to the atmosphere. C/ Pino, 7 (Pol. Ind. El Guijar). 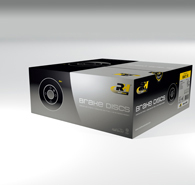 - ABE 61209 approval for ventilated discs. - ABE 61210 approval for solid discs. 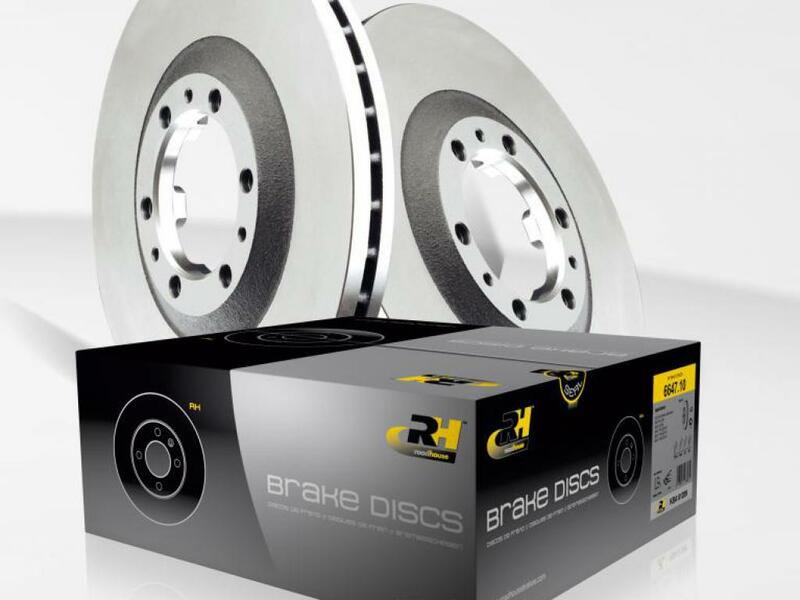 Just as we did with our brake pads, our discs raw material is selected keeping in mind the highest European Standards. 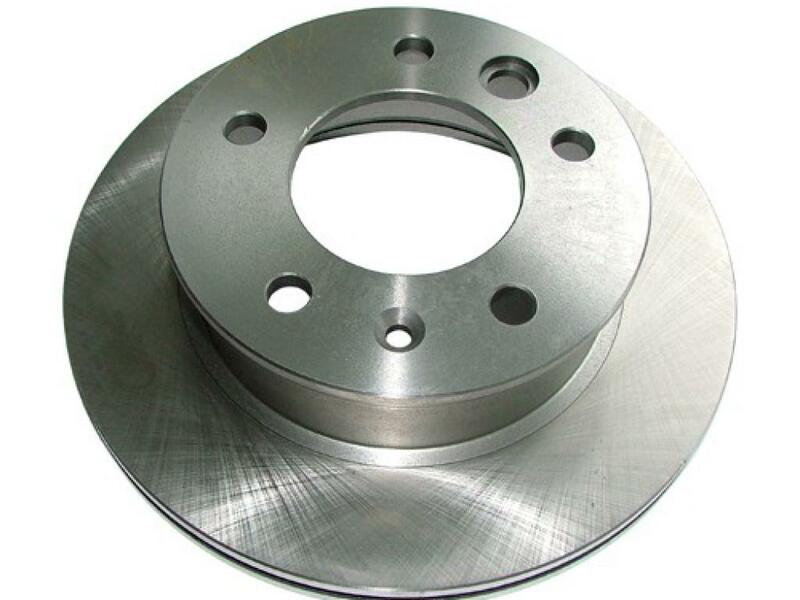 Road House discs are built in grey iron smelting with very high laminar graphite content in a perlitic matrix which exceeds the EN-GJL200 grade and the GG20 standard tensile strength, requiring a minimum resistance of 200 N/mm, so that it meets as well DIN EN 1561 standard rule usually required by car manufacturers. 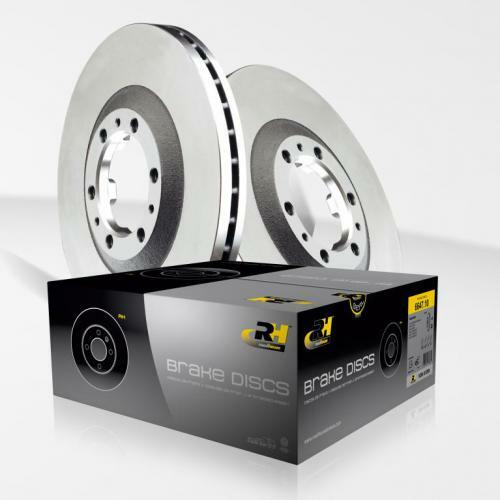 Flatness and parallelism are basic essentials for the correct braking operation. 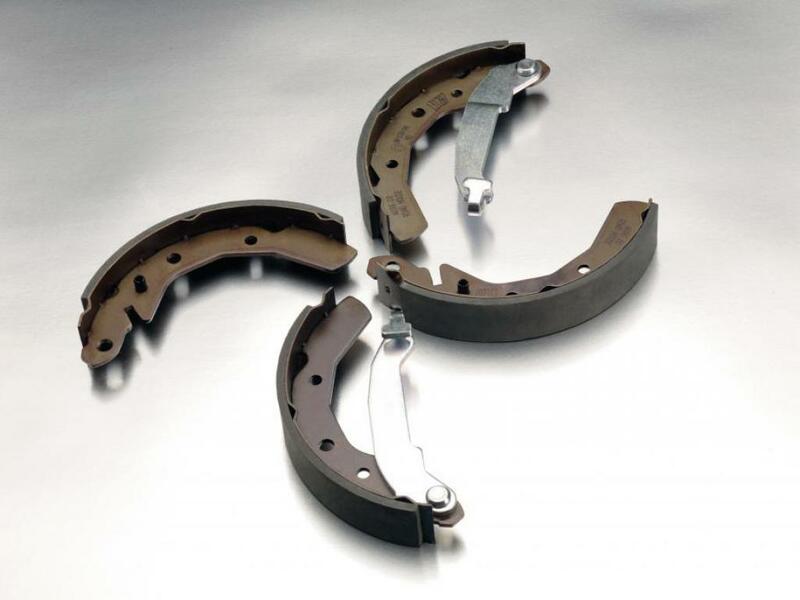 We specify our own minimum safety margins and tolerances comparing them with the competitors and O.E., overwhelming favorable results in both DTV, run out and warping avoiding annoying vibrations, noise, judder in brake pads and pernicious effects in driving. Road House R&D division checks each manufactured serie by registering samples of the smelting and verifying it under metallographic analysis. Dynamometer crack tests are performed as well to check the resistance of the disc until the cracks coming to the surface. Both AK Master testing program in our R&D centers and fleet tests performed on road and circuit make a total over 25000 hours and 2 million kms of global R&D testing work a year. 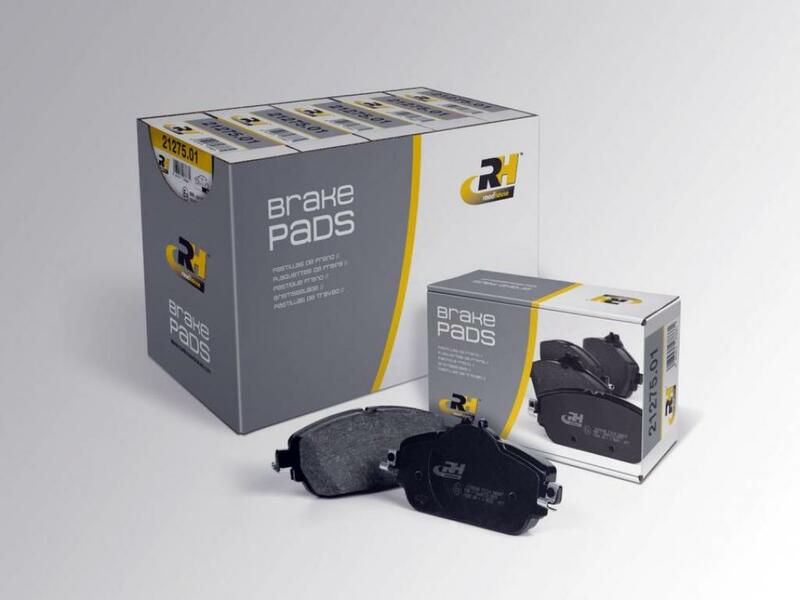 That means a guarantee for the quality of our brake pads and discs. 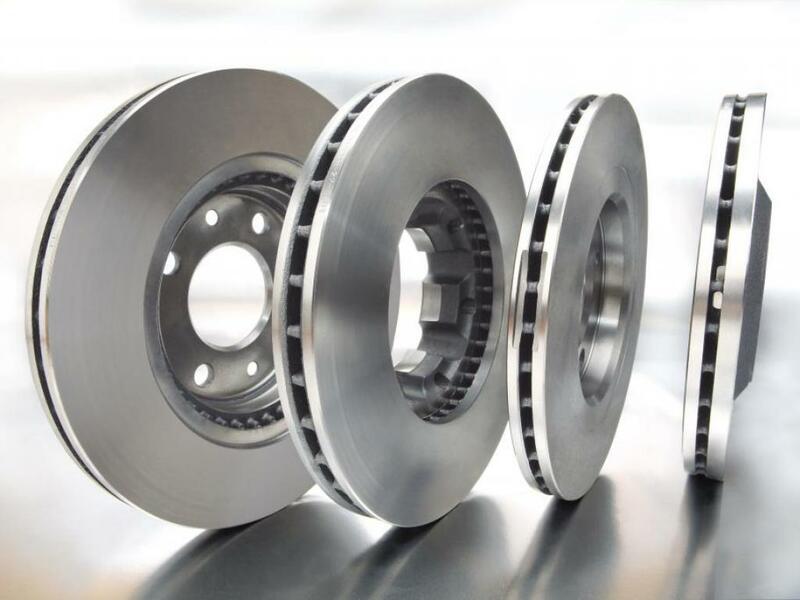 Producing over 40 million discs a year requires top level industrial Company, well developed with quality culture and fully aimed to be a World Wide leader in the brake disc industry. Of course that would be impossible if the goal were only based in the volume but in the quality as well meeting or exceeding all the European standard tests performed by the main car producers. - This process provides a shorter bedding-in period and an efficient brake operation just upon installation as typical O.E.M. 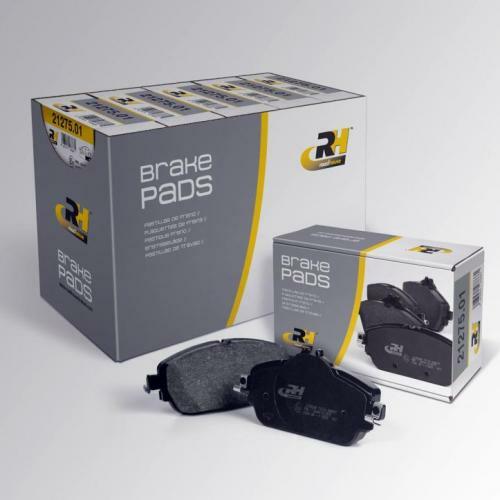 pads performance required to work the most severe conditions. 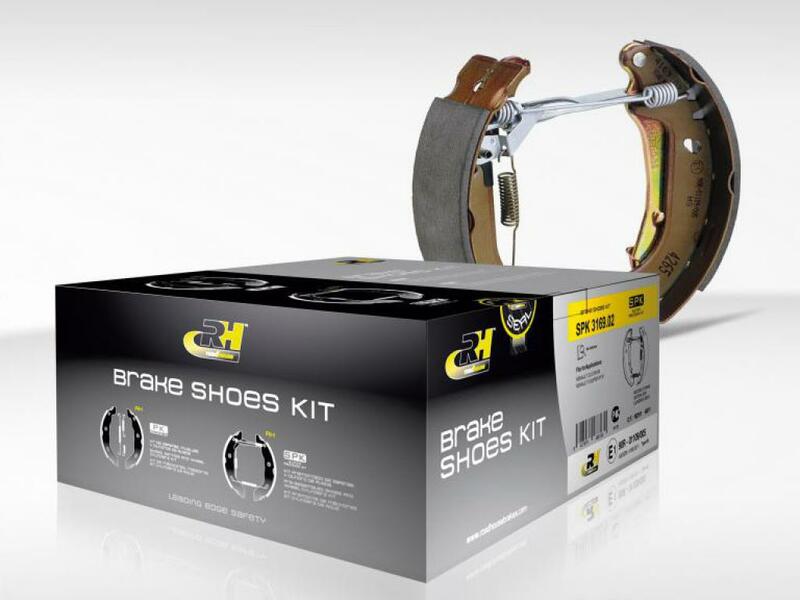 - Providing safety because avoids the crystallization process typical of friction materials losing braking performance along the useful product life. - Healthy for the environment. During the scorching process, gases emitted are treated by post-bur process till they are rendered harmless. Is this process wouldn't be done in our production plant, the drivers would suffer it negatives effects, especially during the brake bedding in period so that the gases would go up to the atmosphere. 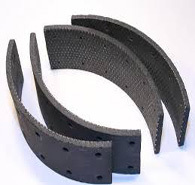 R &D department is continuously testing both new friction material prototypes as uniformity production checking, performing more than 3 million kms. a year among laboratory tests, road test, fleet tests. Comprehensive Road and full scale dynamometer test bench AK-Master test evaluates the quality of Road House brake pads searching the best performance and going beyond of the O.E. results of some of the most popular and extended European vehicles. Alpine descent tests are fundamental in the development and research process of new friction material. These tests are usually performed by Road House technical drivers in Austrian Alpine mountain called Grossglockner (Edelweisspitze 2571 m.) with a 12% average slope and 18% at the maximum fall. At the same time as new materials are tested on this road, several samples of the running production are checked following the same protocol and severe conditions as COP (conformity of production verification). - Medium speed 40 Km/h (top speed 80 km/h). - Final temperature: 600º C.
- Final temperature: 800º C (more than 500º C since 10 corner). 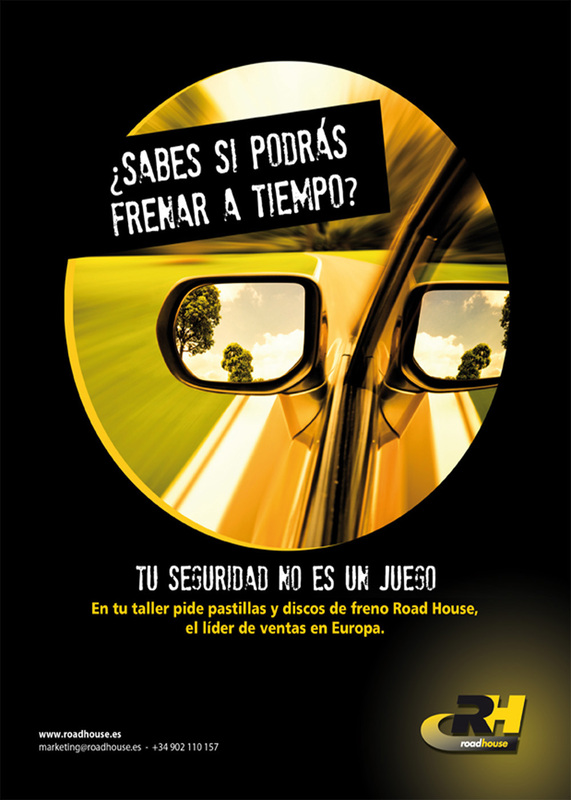 Today Road House is regarded to be the top of European IAM (Independent aftermarket) friction materials manufacturers, with a production volume further 25 million pads set a year produced in 12 factories in Spain, Europe and Asia with a huge capability enough to meet our customers demands. Our production system is fully equipped by the most regarded IAG automatic deep molding presses, dynamic curing ovens and high pressure scorching stations. 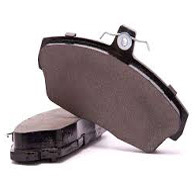 Changing brake pads and discs at the same time reduces the possibility of problems related to noise, premature wear and tear, fading or judder. 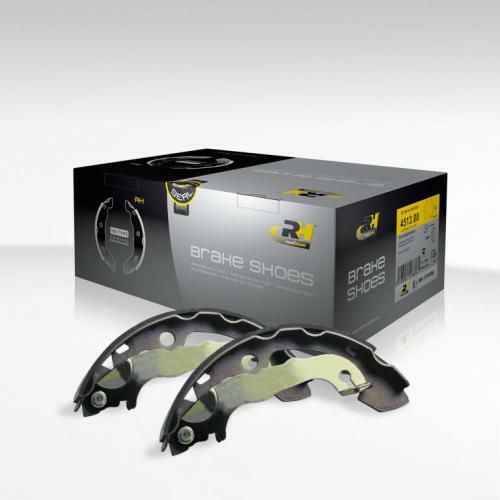 In this case, both components experience parallel wear and this ensures correct braking performance for a longer period. 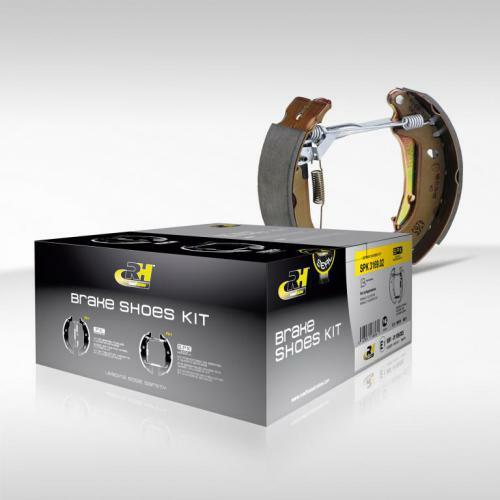 A practical solution to the common error in the association of pads and discs installed in vehicles. 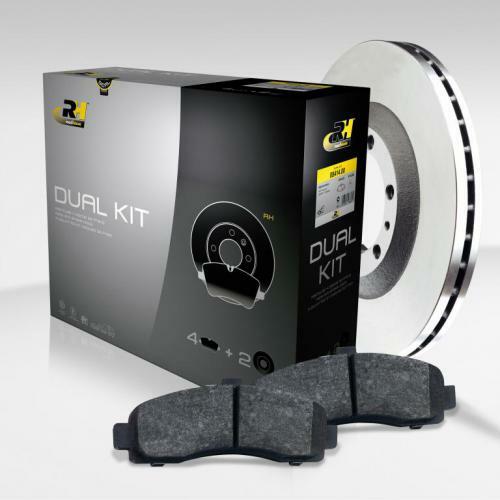 The 300 Dual Kit references cover 85% of the European vehicle market. 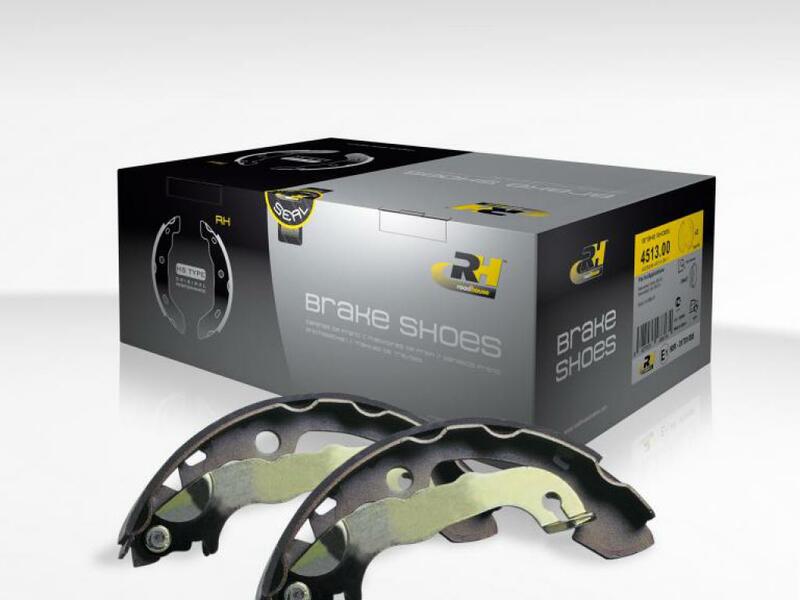 Prices are lower to facilitate stock rotation of brake pads and discs. The innovative design of the packaging underlines Road House's commitment to its customers. 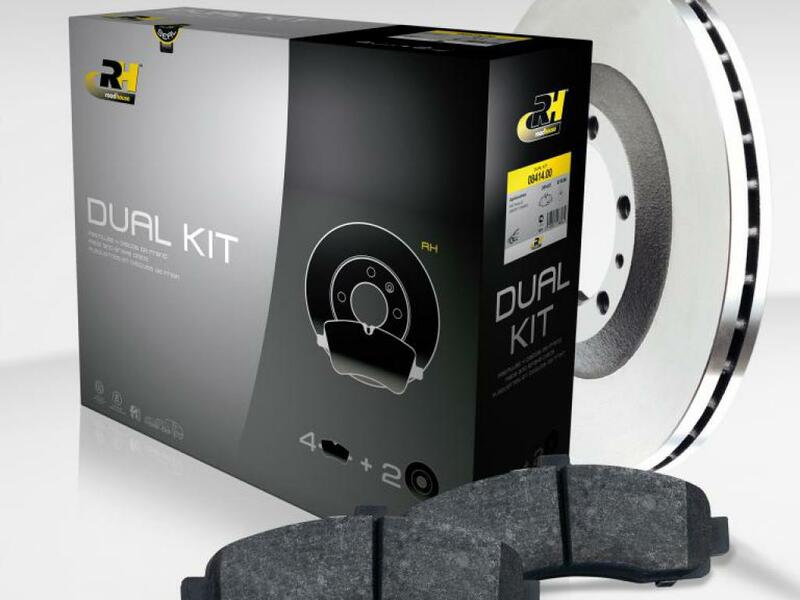 The Dual Kit is easy to distinguish from the products of other manufacturers. 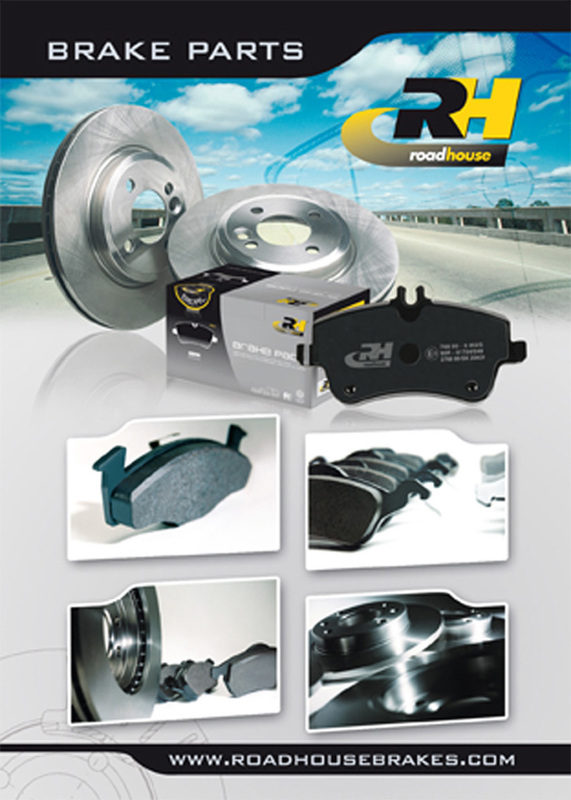 With a wide range further 500 part numbers, Road House is ready to satisfy the whole aftermarket worldwide demand, including European, America and Asiatic applications. 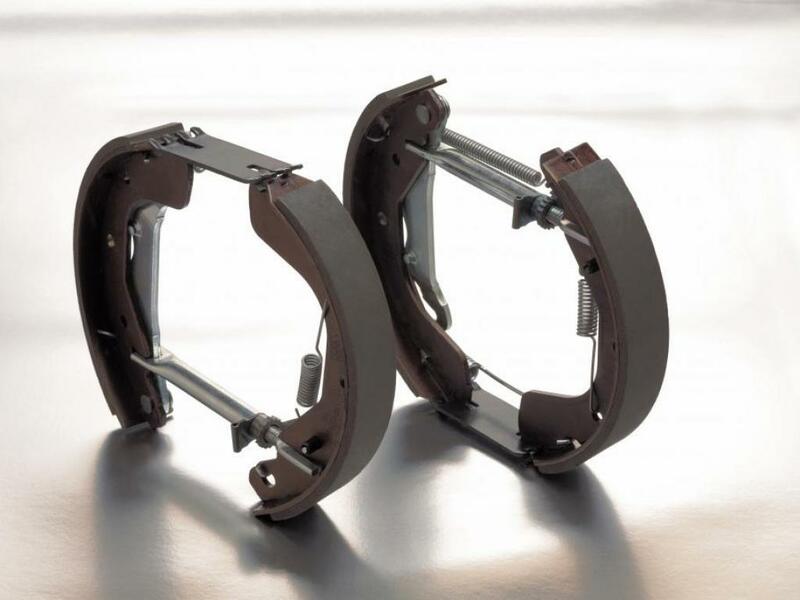 Road House shoes are produced with a metal support under a high resistance varnished process thus giving to the part a high anti-corrosion protection effect. Phenolic adhesive gluing process allows an optimal bedding in operation between the friction material and the metal support. An organic mixture of elements on the top level quality and cleanness, neither asbestos nor heavy metals included, which is optimum to maintain a stable rate of friction, free of fading and noise and a perfect condition for an efficient braking operation in the rear axle. 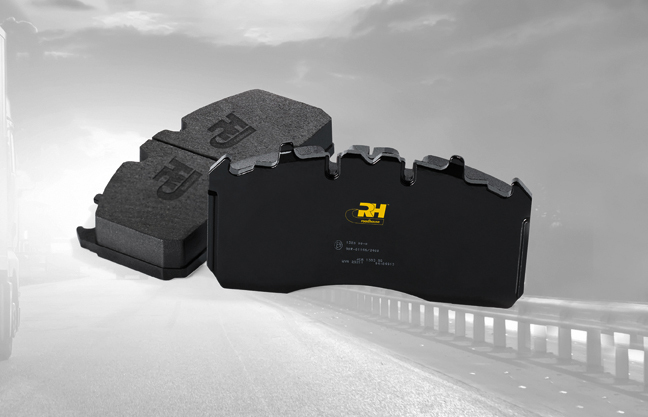 Road House shoes are equipped with a wide variety of accessories such regulation kits, hand brake levers and all of those necessary hardware elements for a professional assemble. 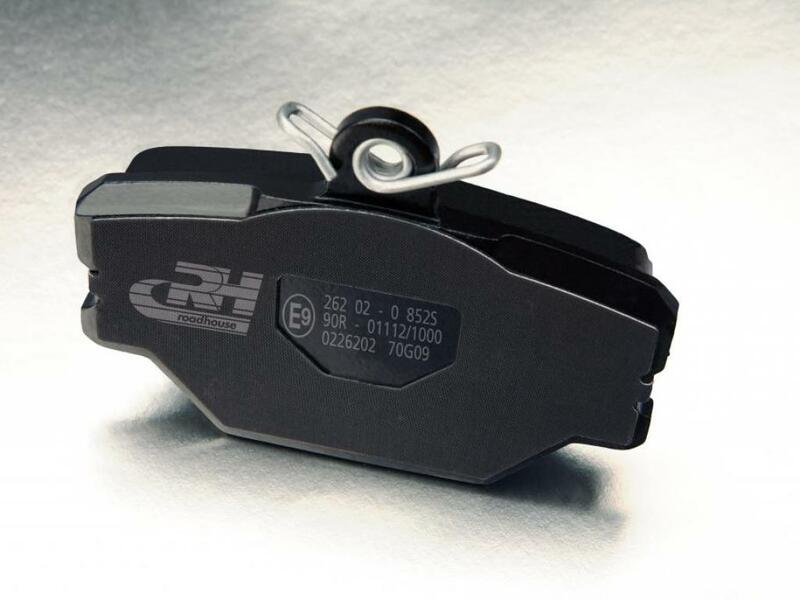 Inkjet printing enables clear marking on the metal support of the product code, standardisation code ECE R-90 and traceability code. 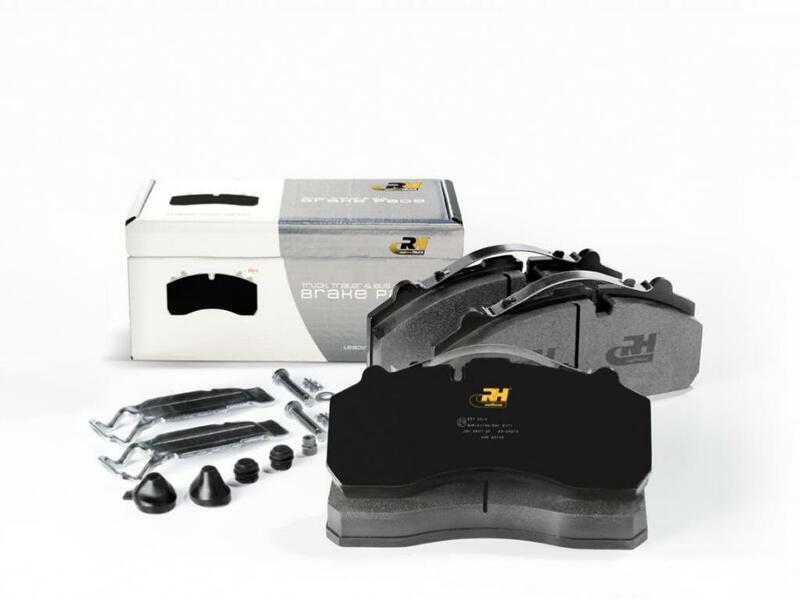 Road House Super Precision Kit assures you an efficient braking operation within professionals can replace all the dynamic components joining in the brake drum system. Road House Super Precision Kit saves time for professionals reducing the assembling operation up to 48% average. 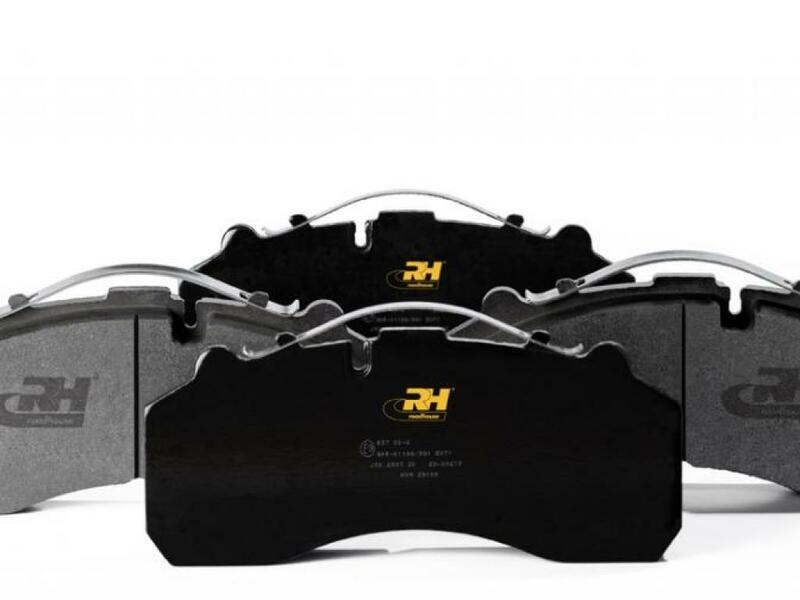 Road House Super Precision Kit avoids the old pieces re-using usually damaged by the service life compromising the correct braking set operation. Road House siempre proporciona un valor añadido: calidad en sus productos, calidad en su servicio y calidad en la postventa (servicio Integral). 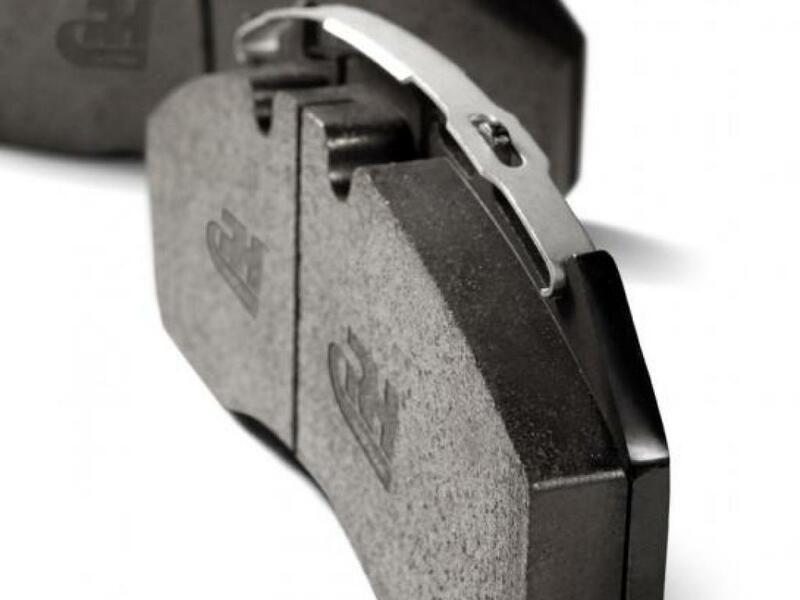 Road House Super Precision Kit covers 98% of European car park shoes market share. Both innovative design and quality packaging shows an attractive product easily distinguished from others and easily handled and stocked. The technology used in the manufacture of the LL28 quality are deep mould presses capable of individually controlling, that is, unit per unit, the pressure, temperature and the processing time. With this technology production homogenization, which implies the best results of the product independently of the batch it pertains to. 1. Control of mixture dosage: The density of the pads is the same throughout the entire surface with which problems of premature wear is avoided. 2. Control of the pressure distribution in the entire surface of the pad: The homogeneous wear of the material, preventing the appearance of fissures, cracks and other problems that can put the safety of the vehicle in danger. 3. Control of the temperature in curing: The resins, rubber and other organic elements melt and flow equally through the volume of the pads, homogenising the material's frictional characteristics. The technology used in the manufacture of the LL28 quality are deep mould presses capable of individually controlling, that is, unit per unit, the pressure, temperature and the processing time. 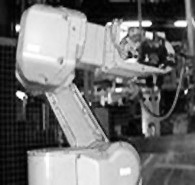 With this technology production homogenisation, which implies the best results of the product independently of the batch it pertains to. The study on wear was carried out on 10 combinations (tractor and trailer) dedicated to international transport. 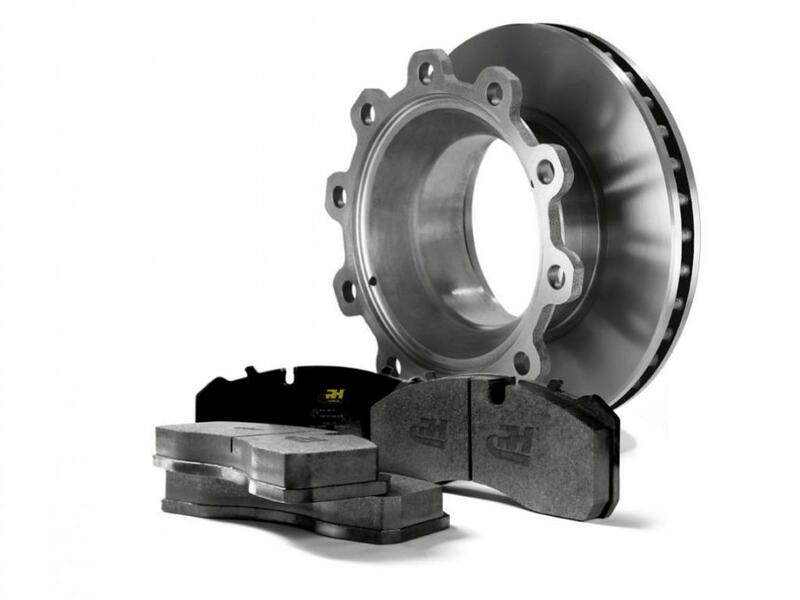 The results are spectacular regarding the kilometres that the vehicles were able to travel with the same brake pads. Five tractor-trailers were equipped with the ROAD HOUSE Heavy Duty Line material, which were capable of surpassing the 350,000 in tractors and the 240,000 km in platforms. Two years were used in carrying out these trials, and even today the pads from the tests are still mounted on some of the trucks.. The results obtained are very similar to those contributed by the two previous tests, that is, the three materials have a wearing that is capable of resisting more than 200,000 km. The tests on wear were carried out from the beginning of the development of the new quality. The most tested reference was that which was mounted on the axle SB7000, but it was not the only one as others were used according to the fleet that collaborated with ROAD HOUSE Heavy Duty Line and its necessities..
A better dissipation of heat. A noticeable reduction in brake fading. A general improvement in active and passive safety. Improved comfort concerning judder and squealing. 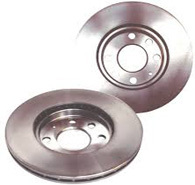 Road House Heavy Duty Line disc are made according to the standards required by the manufacturers of vehicles. 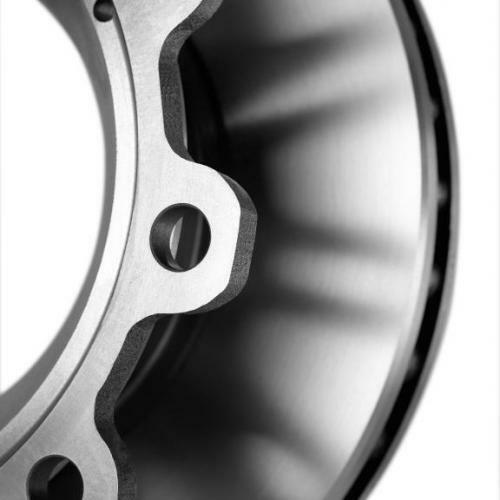 They use grey cast iron in mechanical and microstructure specifications similar to the Original components. During casting and specially during cooling, all measures are taking to avoid thermal stresses. 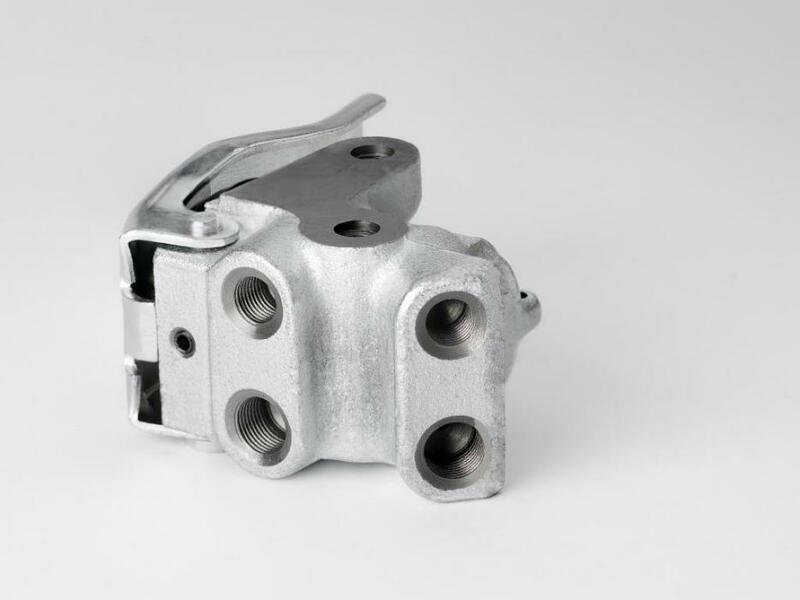 Accurate controls constantly check that the castings are free for cracks, micro suctions and other defects that may affect disc life and performance. 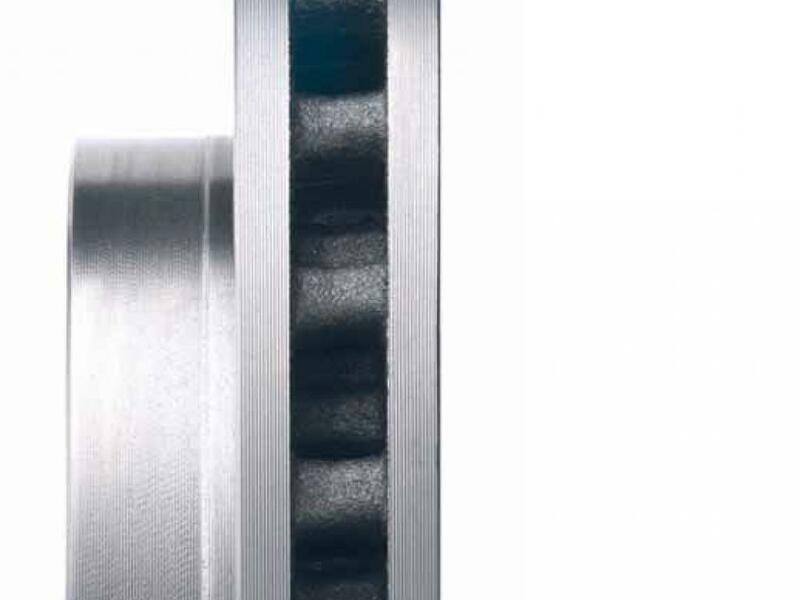 Disc positioning is ensured by the precise placing of the central hole and radial holes. The precision of machining, as required by the drawing, is controlled by sophisticated measuring instruments. 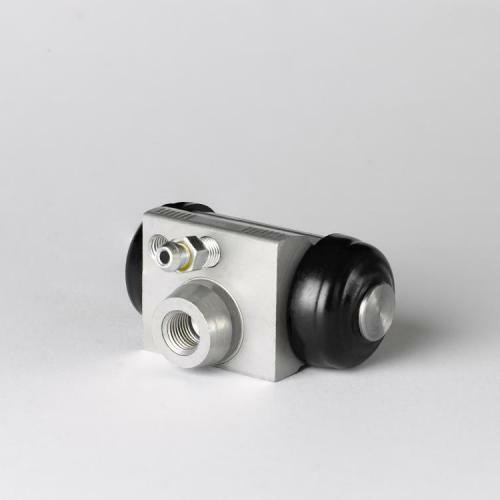 Machining takes place on CNC production lines capable of maintaining the correct parallelism and flatness. The observance of strict tolerances is and absolute guarantee of a minimum DTV (Disc Thickness Variation) and also for a comfortable braking maneuver free of squealing and judder. 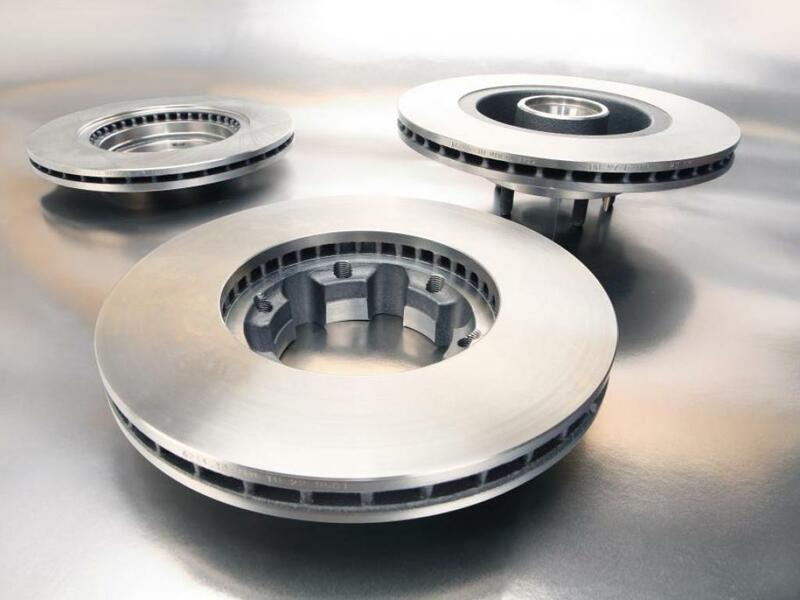 Discs are them immersed into a special protective oil, to protect them againg corrosion during storage. 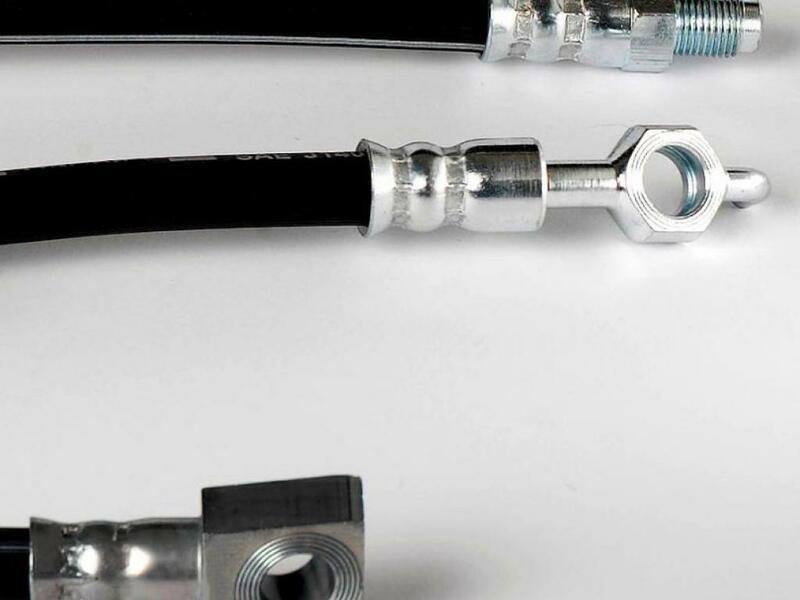 Brake hoses are a part that is most sensitive to water permeation. 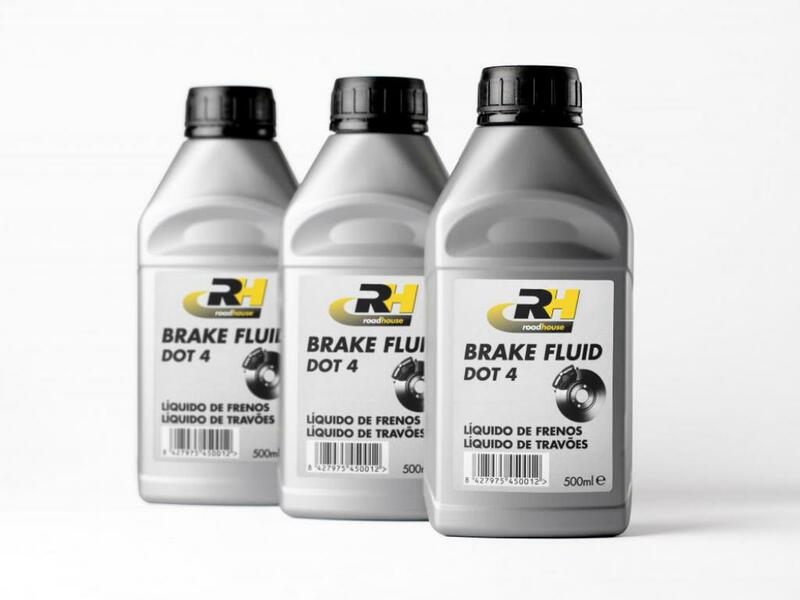 Water contamination in brake fluid can cause on high temperatures water vapour with an important risk of brake failure. 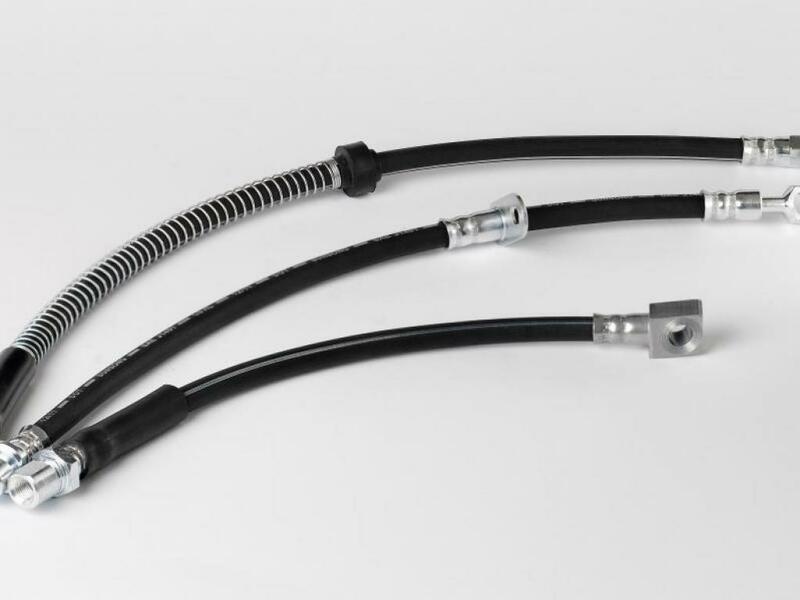 Main feature of Brake Hoses should be a low volumetric expansion to give an instant pedal response and therefore a lower brake distance. 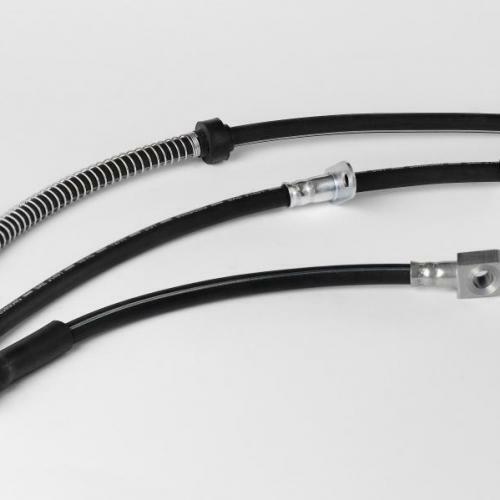 Road House Brake Hoses exceeds international specifications SAE J1401 and FMVSS 106. Furthermore, end fittings are made of materials to protect against rust. 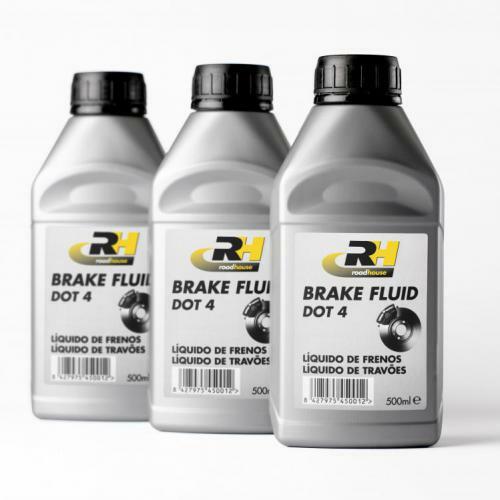 RH DOT-4 Brake Fluid is recommended for all hydraulic brake and clutch systems for which a non-petroleum fluid is specified. Exceeds specifications SAE J1703 and ISO 4925. Minimum Dry Boiling Point 260 °C. 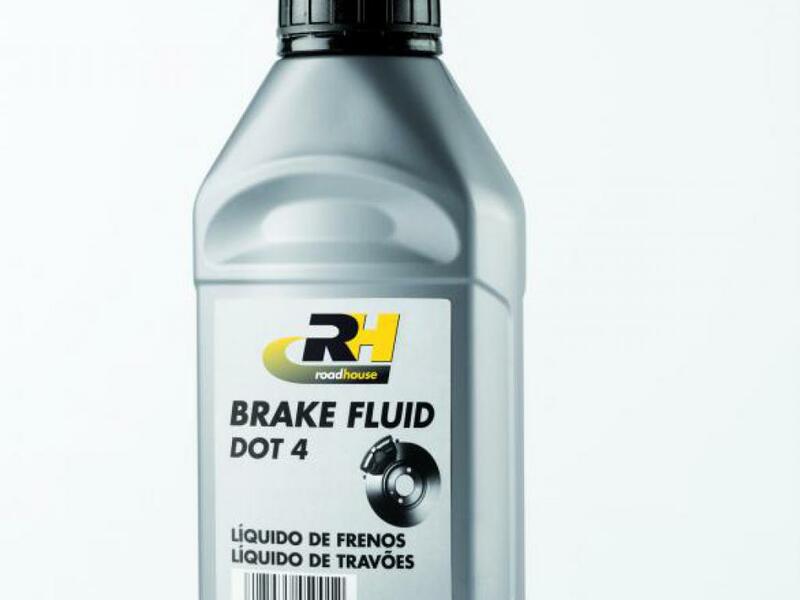 It’s recommended that DOT 4 Brake Fluid is changed every 2 years for to maintain maximum braking performance and safety. 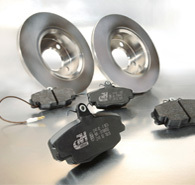 Water contamination can shorten the life time of the braking system. Brake fluid absorbs moisture via the brake hoses. 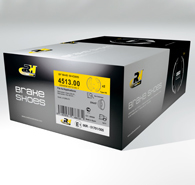 As brakes are used, the brake fluid will heat up. Over time, the boiling point of all brake fluids will begin to lower as moisture from the air is absorbed. 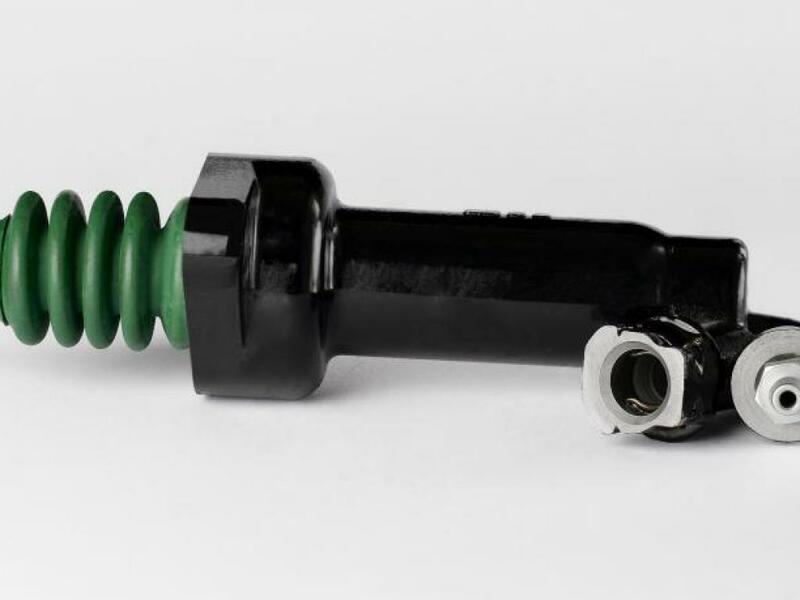 If brake fluid is not changed regularly, master cylinders and wheel cylinders rubber parts will corrode. 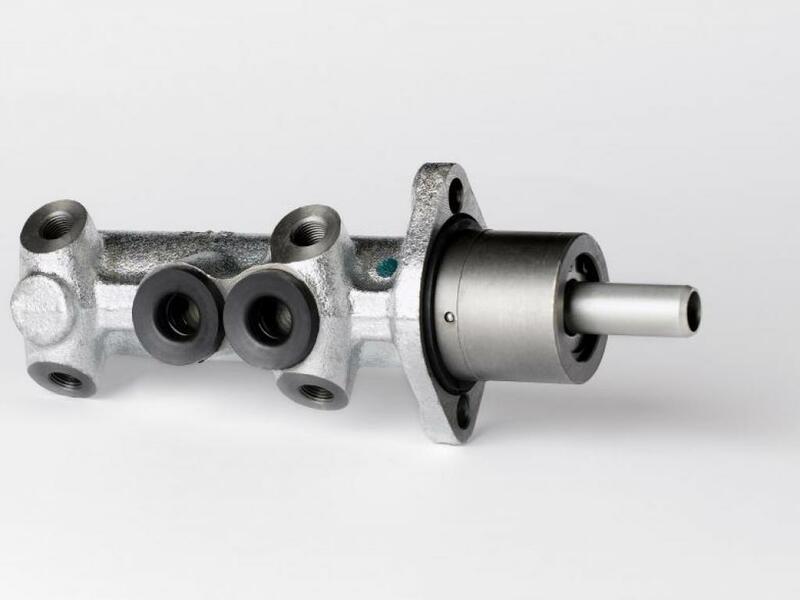 In the hydraulic brake systems, the driver’s braking effort is transmitted using fluid under pressure which is conveyed by a Master Cylinder, to the brake cylinders (brake drums system) or the brake calipers (brake disc system). 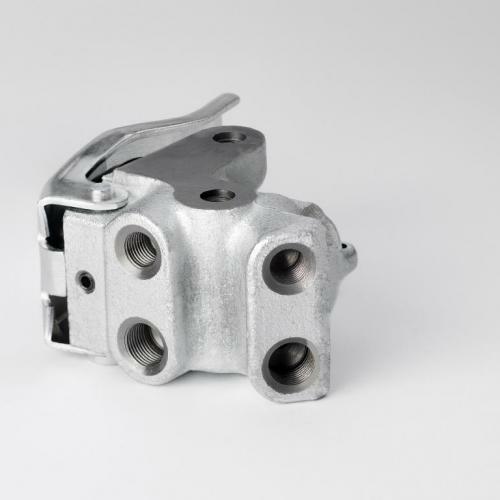 The brake pump is therefore the most crucial component of the hydraulic circuit so it must meet the highest standards of reliability and quality, and be able to withstand high mechanical stress levels. 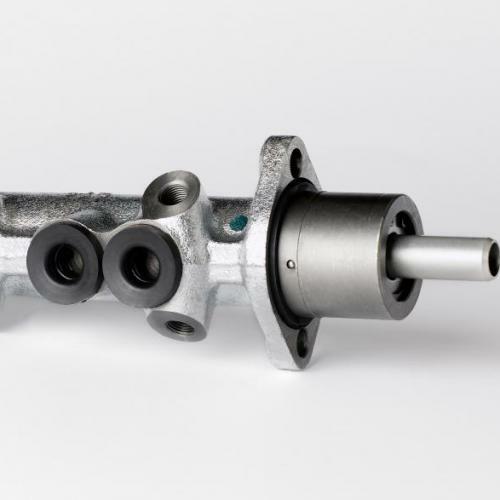 The hydraulic pressure built up in the brake pump is transmitted to the Wheel Cylinders. 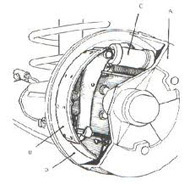 Hydraulic pressure forces the two pistons of the Wheel Cylinder to push the shoes against the internal part of the drum. 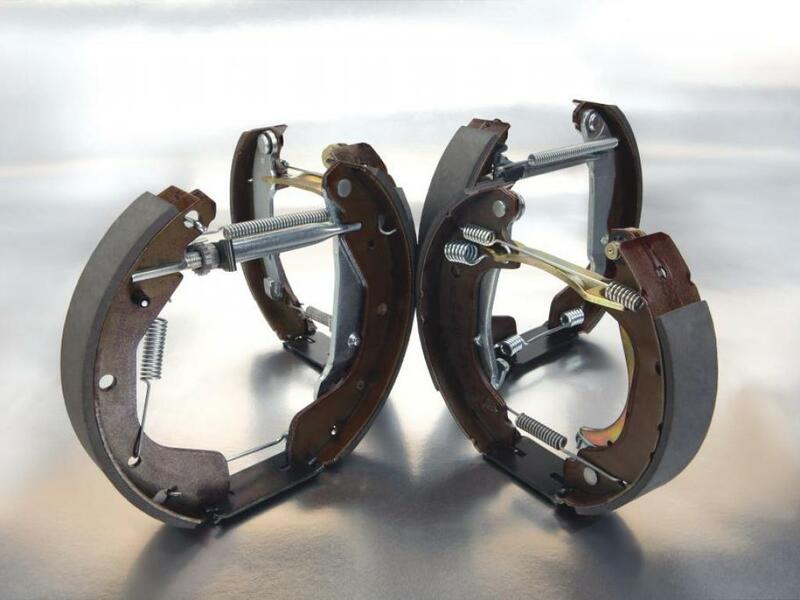 Clearance between the shoe and the drum is adjusted automatically. 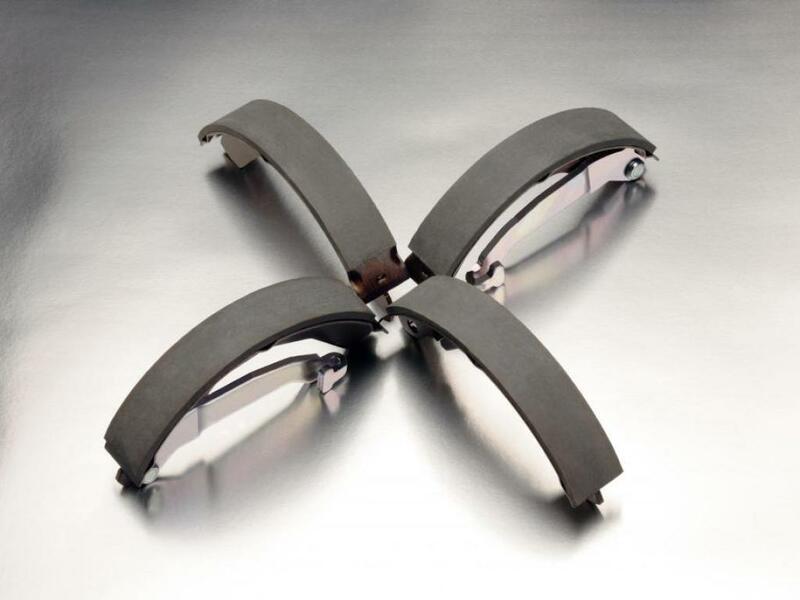 For optimal braking, the wheels must never be completely immobilized. During braking, load is transferred from rear axis to front of the vehicle, Braking Regulator reduce stress on the front axis. Since the maximum braking force the braking effort applied to the front and rear axes, must not be equal. 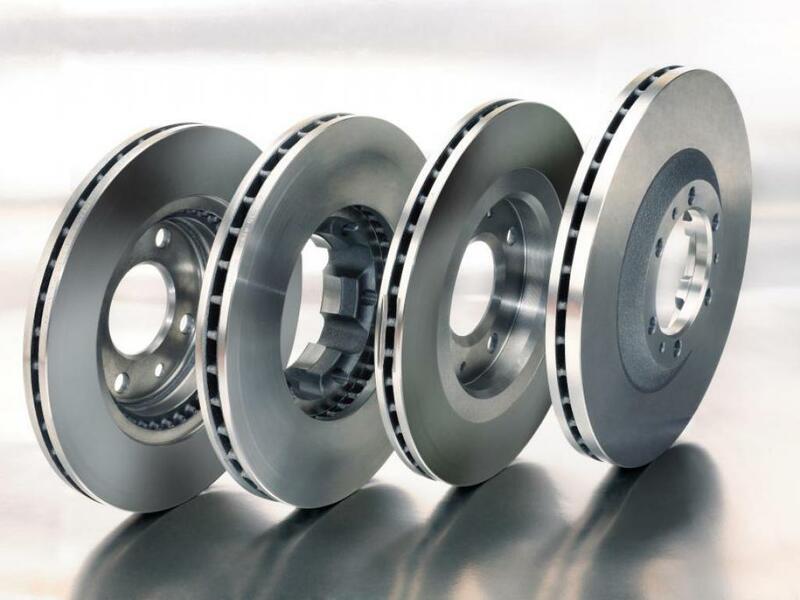 The two types of modern braking correction systems – load reducers and compensators – provide results that are sufficiently close to optimal braking conditions. 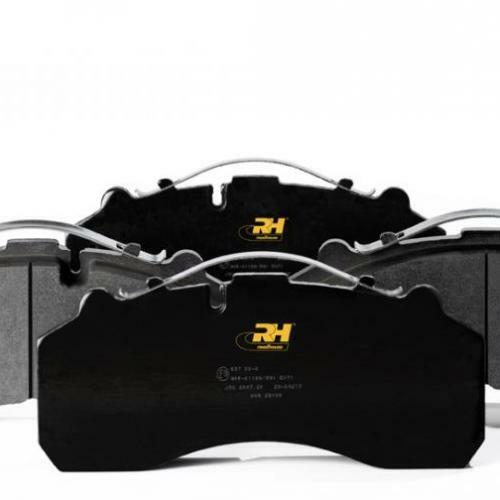 When they appeared, hydraulic clutch systems marked an important milestone for the automotive industry. The sensitivity and performance of the new system which provided almost optimal results, allowed for a smooth, gradually accelerating, and generally pleasant drive. 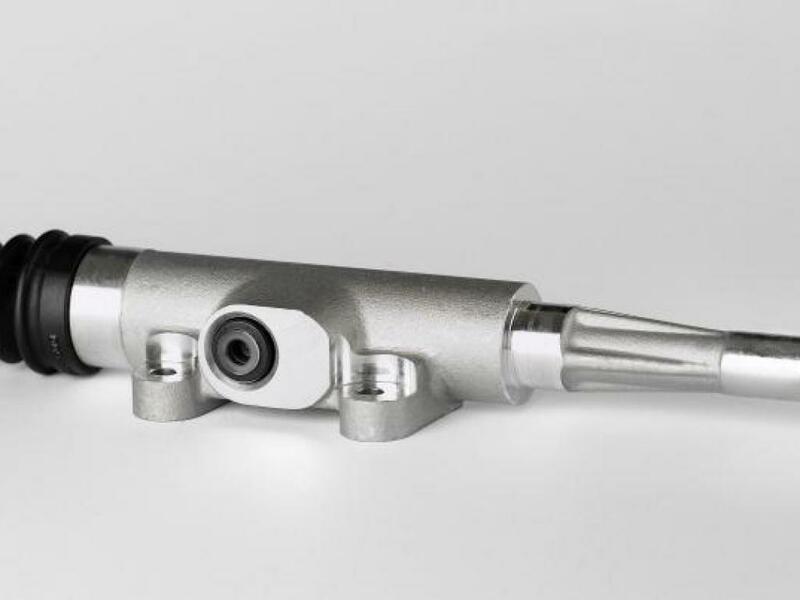 Since the frame was hydraulically linked to the gearbox by a flexible hose under pressure, the issue of unwanted vibrations did not even arise. 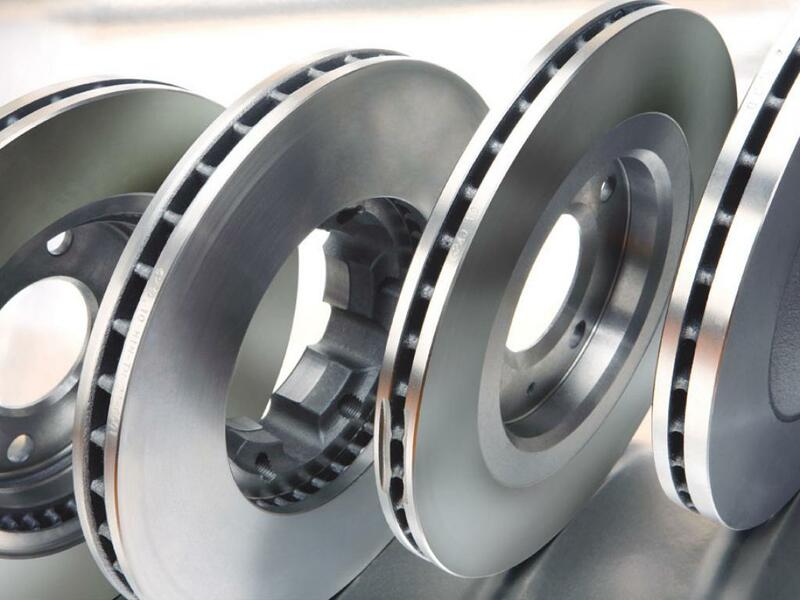 Moreover, hydraulic clutch systems are de rigueur whenever the cable clutch alternative proves problematic.